Baz Luhrmann's The Great Gatsby is big, loud and lavish, more of an event than a film, and a substitution of essence for grandiosity. From the moment it was announced that the Australian filmmaker would adapt F. Scott's Fitzgerald's 1925 classic novel did we expect anything else? What Baz fails to cement is genuine purpose for his filmic style and the very reasoning for filming this story again. There have been three previous film adaptations, including a 1974 version with Robert Redford. The novel itself also possesses its own cinematic qualities, which further asks why it needed to be made into another film. Modernist writers, authors from the post-WWI period like Fitzgerald, T.S. Eliot and Faulkner, were influenced by the power of cinema in their work. In his essay "T. S. Eliot and Cinema", David Trotter draws symmetry between the techniques of the written text and film: "The literary text, we are told, is structured like a film, in whole or in part: it has its "close-ups," its "tracks" and "pans," its cuts from one "shot" to another. Writers and film-makers were engaged, it would seem, in some kind of exchange of transferable narrative techniques". Trotter's essay reveals a broader question about why a novel needs to be adapted to film. Some film adaptations achieve heightened immediacy and atmosphere and expose more people to the source material. The producer of Gatsby, Douglas Wick, said that they wanted the story to be relevant to a new generation and make it less like a period film. Yet by utilising dizzying filmic techniques, including a superfluous 3D layer, Baz is selling a new generation a broader, faster but simplified version of this story that doesn't understand the novel's intentions. As a filmmaker, Baz has fine technical knowledge but he never knows when to call cut. With his first film Strictly Ballroom, he showed careful selection in his direction, building a small, contained but hugely entertaining crowd pleaser. Now he is part of a Hollywood studio system where directors make their films increasingly more elaborate and grander so that they can sustain their own relevancy and bankability. His worst film Australia revealed his irrepressible kitchen sink syndrome by mixing jarring acting styles, dramatic and comedic tones and undisciplined cinematic choices. 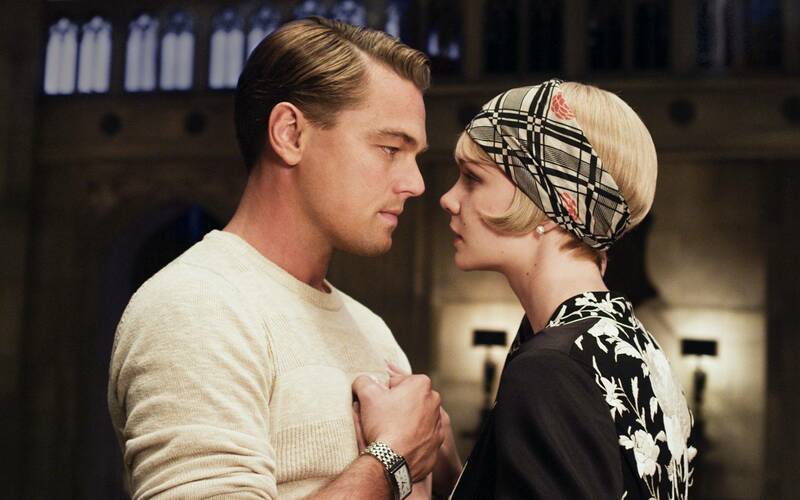 Despite drawing a rich, powerhouse cast for Gatsby including, Leonardo DiCaprio, Tobey Maguire, Carey Mulligan and Joel Edgerton, some of these erratic stylistic choices and habits come back to haunt Baz. The first half of the movie feels rushed and hollow. Baz's primary technique is rapid cutting, so scene transitions and beats between set pieces become so frazzled that there is little time spent on substantiating the notion of old and new money - a core element of the novel. The camera movements are needlessly speedy, dipping and zooming wildly from the top of skyscrapers so that the few times they are allowed to pause is for a brief freeze-frame. Baz also treats the party scenes as though they are an elaborate music video, with bodies constantly in motion, as waiters and servants file into rooms with perfect synchronisation. This is all high kinetic movement but ultimately wasteful energy as these formal choices fail to connect themselves to a theme relating to class or materialism. The soundtrack is also narrowly geared towards a younger demographic, instead of the authenticity of the Jazz Age or the novel's thematic core. Modern singers like Jay-Z and Beyonce are used in the film and the familiarity of their voices is distracting. In a crucial moment where Jay Gatsby (DiCaprio) prepares to reunite with Daisy Buchanan (Mulligan), a remix of Beyonce's song "Crazy in Love" plays over the vision of servants marching into the house together. It's a terribly directed scene that mistakenly treats Gatsby like a slapstick comedian. There is a lot of overstatement like this, particular when Nick Carraway (Maguire), who narrates the film through a voice-over, regurgitates observations already made clear by the camera. The second half is mercifully slower, providing more time for the actors, but it fails to inject itself into the novel's thematic interests. 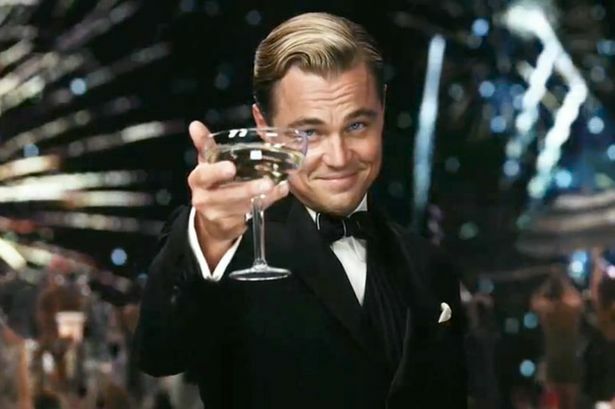 DiCaprio suits the role of Gatsby because he gives the character a slick air of believable confidence and composure. There are some also gentle moments where he reveals an internal sense of longing through his face, without any intrusive flashbacks. 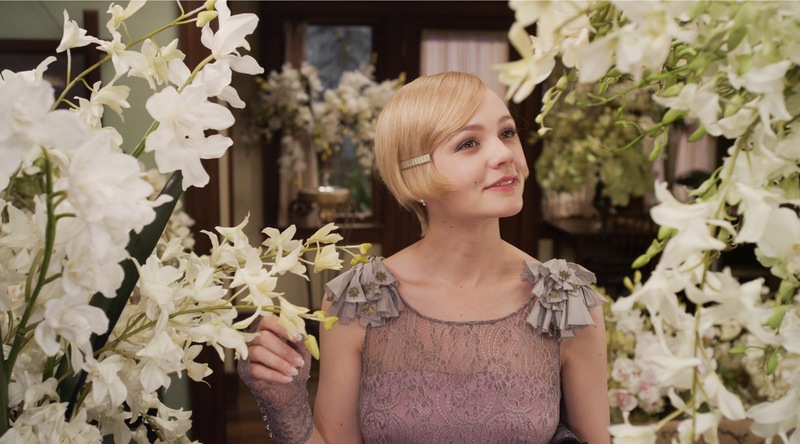 Yet Baz's worst sin is that he buys into Gatsby's idealisation of Daisy. Their relationship is treated like a conventional sugary romance rather than a question of class or the social order. The casting of Daisy is problematic. Mulligan has been directed to play the part soppy, instead of darker, frivolous and superficial, so that the materialistic nature of her character is softened until the end. Tobey Maguire seems uncertain on how to approach Nick because of his elusive characterisation and new material, including a thread where he is recovering from a breakdown and is told by a doctor to write the story out, does not have any emotional impact. Crucial female characters from the novel, including Jordan Baker (Elizabeth Debicki) and Myrtle Wilson (Isla Fisher), who is having an affair with Tom (Joel Edgerton), are also marginalised so that their importance barely registers. I hope Baz can rediscover his restraint as a filmmaker and remember that purpose and intent are the foundations of great storytelling and filmmaking so that his narratives can linger after the glitz and the technique have faded. Despite how lavish and busy it is, Gatsby makes for a forgettable movie - a label you couldn't even apply to Baz's worst efforts.